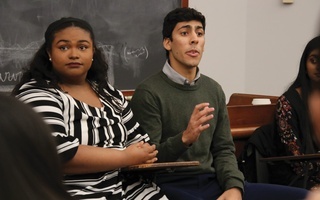 A federal bill that could jeopardize Harvard’s controversial social group policy will almost certainly not become law before the end of this congressional term, experts say. The bill — a suggested revision of the Higher Education Act called the PROSPER Act — contains a provision that would bar colleges and universities from penalizing students who join “recognized” single-gender social organizations. 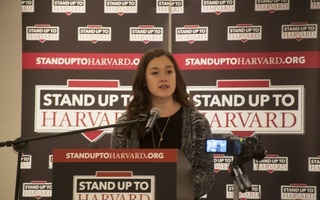 Though it is unclear whether that provision would apply to Harvard in its current form, opponents of the sanctions hope to change the wording to ensure that it affects the University. If anti-sanctions advocates are successful and the bill passes, Harvard could be forced to choose between millions of dollars in federal research funding and its social group penalties. The bill — voted out of the Committee on Education and the Workforce in the United States House of Representatives in Dec. 2017 — has not yet been scheduled to be discussed on the House floor or to be voted on by the full House. 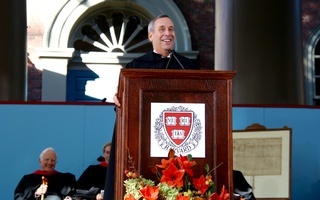 The College’s sanctions — which took effect with the Class of 2021 — bar members of unrecognized single-gender final clubs, fraternities, and sororities from holding leadership positions in recognized student groups, serving as the captains of varsity athletic teams, and from receiving College endorsements for certain prestigious fellowships like the Rhodes. For now, it seems as if Harvard’s policy is pretty safe. Political analysts say the chances the Higher Education Act passes under this Congress are slim. Republicans, who introduced the bill and might be more likely to favor it, currently control the House of Representatives — but political pundits predict Democrats will regain the majority in November. Neal McCluskey, director of the Cato Institute’s Center for Educational Freedom, said he does not think there is “any chance” the bill — which contains far more than the social groups provision — passes before the end of this term. Supporting the bill would be “an act of political suicide,” according to Barmak Nassirian, director of federal relations and policy analysis for the American Association of State Colleges and Universities. He and others pointed to the funding proposals in the bill as one main reason it will likely fail to become law. The PROSPER Act could reduce some students’ ability to receive Pell Grants to help them pay college tuition and could restrict the amount of money undergraduates can take out in student loans. Most Democrats oppose these provisions — and for Republicans, the legislation probably won't rank among their top priorities. Whether universities can legally penalize social groups is of even less concern. Many lawmakers likely see the section on social groups as “a relatively minor provision” compared to larger issues related to financial aid, said Jeffrey Andrade, a lobbyist for the McKeon Group and former Republican staffer for the Committee on Education and the Workforce. She declined to comment further on the bill’s chances of passing by the end of this Congress. Another obstacle to passage could be that the bill's final club provision appears to contradict Republicans’ emphasis on limited government, according to some analysts. “A conservative majority that constantly talks about governmental overreach and governmental micromanagement of private affairs probably shouldn't be chiseling rules in marble on matters as internal to the administration of colleges and universities as how they handle fraternities or Greek life or social organizations,” Nassirian said. Drumming up support from representatives is not the only hurdle the PROSPER Act must clear to become law. Even if the bill advances out of the House of Representatives, the Senate would need to approve the legislation. The Senate has not finished drafting its version of the PROSPER Act. Ultimately, the bill will likely garner mostly Republican support, experts said — meaning it would die in the House if Democrats take the majority. The Senate, meanwhile, is unlikely to flip blue. With a divided Congress, not much is likely to get done in Washington — especially when it comes to bills that have failed to garner much attention anyway. Still, at least one group of lobbyists are staking their hopes on the bill. 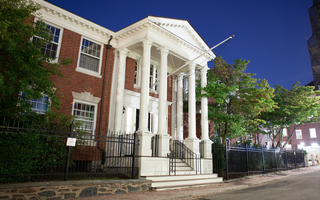 The Cambridge Coalition — comprising all-male final clubs the Fly Club, the AD Club, and the Porcellian Club, along with the Harvard chapters of fraternities Delta Kappa Epsilon, Sigma Chi, and Sigma Alpha Epsilon — sent representatives to the nation’s capital in spring 2018 to urge lawmakers to support the legislation and imperil the College's sanctions. If the law does not pass, though, the fight for the fate of the social group policy could shift from the Hill to the courthouse. Some final club affiliates have previously said they would consider suing Harvard as a “last resort” to block the penalties.